Are you sure you want to remove Ipotesi sulla realtà from your list? The title means "A hypothesis about reality". 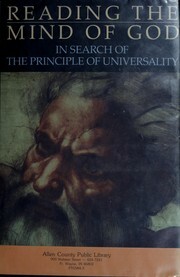 Several reviews in Italy considered this as the first "new age" book written by an Italian author, Fabrizio Coppola, a physicist and meditator who, after reading Fritjof Capra's best-seller book "The Tao of Physics", listening to Maharishi Mahesh Yogi's theories, and learning to practice transcendental meditation, realized that modern physics (including Einstein's relativity, Quantum Mechanics and other discoveries) had abandoned the strictly materialistic vision that had dominated Science in the 18th and 19th centuries. 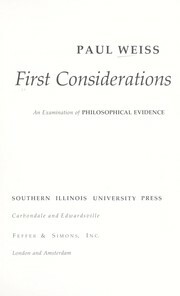 The author postulates that a direct and deep connection between "objective" Nature and "subjective" mind of human beings could exist, and consciousness could be a deep and fundamental property of the universe. This "hypotesis about reality" ("ipotesi sulla realtà" in Italian) does not come from metaphysical speculations or parapsychological purposes, but claims to be based on scientific evidence, and the purpose is to show a new direction to understand certain unexpected discoveries coming from different fields of studies, such as contemporary physics, neurosciences, psychology. Includes history of Science since 1600 and of ancient Vedic philosophy from India since 3000 B.C.